Many year ago, growing a beard was easy. You just stopped shaving. Where your beard ended-chin, neck. Or somewhere after your chest hair began was no body concern, least of all yours. Now things are different. People tend to have jobs and fewer diseases and beards require more tailoring. A wild, unkempt beard might showcase your impressive manliness, but it is doing you few favors in the date able, employable and all-around approachable department. The better route is to keep your face fur in check. Here how to do it. When your facial hair is at least 3cm long then you wash and dry your beard and comb it downwards. 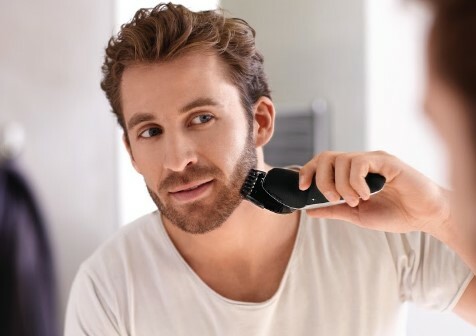 After the wash and dry your beard you use a trimmer to shape your neck and check lines and clean up under your lower lip. 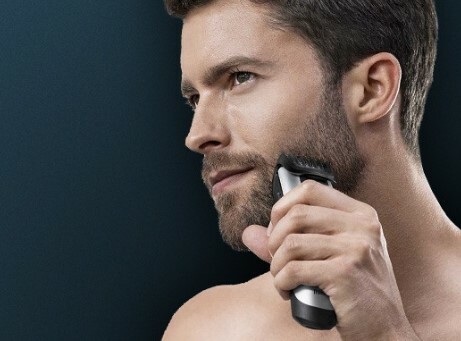 Now trim your beard evenly to the desired length with a comb attachment or zoom wheel if your trimmer has one. 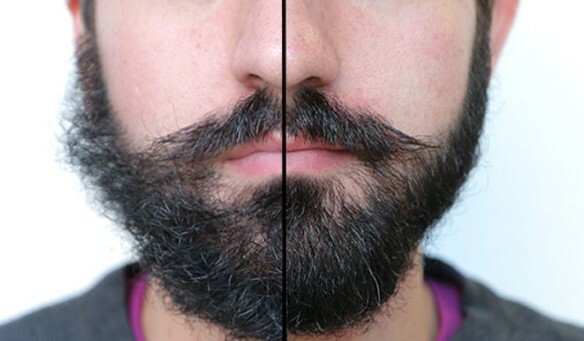 Comb your beard out, tidy up around the mustache and check one last time for symmetry. Finally shave your check and neck for a well-maintained appearance. 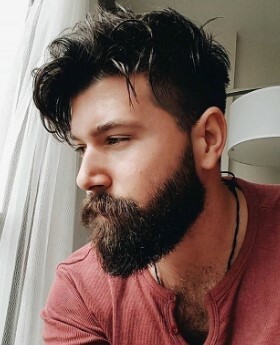 Short beard styles should be trimmed every other day to stay looking sharp. Just like you would the hair on your head, you need to comb your beard. First, apply a good beard oil to soften the hair. Then run a beard comb through it to distribute the oil, as well as to style your beard back into place, post trim. This will also help reveal strays that got passed over while trimming, which you can take care of with your scissors. 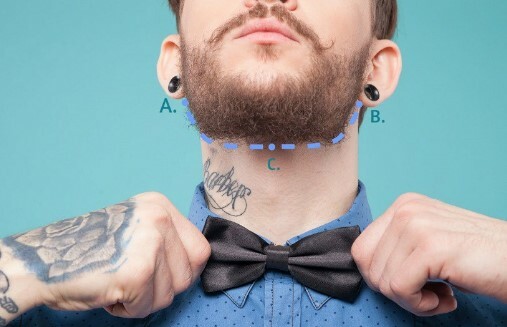 The most common mistake that men make with shorter beards is trimming the neck line too high. 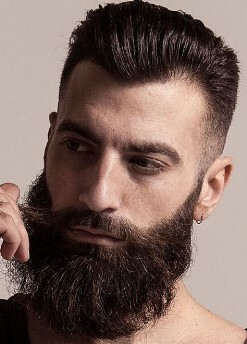 They take the beard up to their chin, but what they should be doing is trimming it to about a finger width above the Adam apple. Shaving up to the chin draws attention to the underside of your neck. Everyone has extra fat there to protect your throat, but some have more than others and some men are more comfortable with it than the rest of us. If the underside of your neck is an area of your face you do not want to showcase, stick to the Finger width above the Adam apple rule. A short beard hugs the face without hiding its shape so it best suits square or oblong faces. Short beard styles are all about maintenance. Getting your short beard looking appropriately suave takes time and patience. You will need a good trimmer if you are going to pull it off properly. Option for something with an adjustable guard that can be removed when it is time to neaten things up around the edges. You could also employ a razor to clear up anything above the check line and below the Adam’s apple. Then all that left is to cut your fuzz to the desired length. Once you have got that in check, you can then trim to accent your facial features. Keep the checks in line with the corners of your Moustache or mouth. There are plenty of option: rounding, fading, lower lines, higher lines. Experiment to see what suits you, says Murphy. This beard style literally adds inches to your face, creating a sense of length and width. With the right trimming techniques, this will add some instant handsome points to your scorecard. But for a total knockout look, you might want to ring in some even bigger changes. Keeping the stache longer for a beard stache or maintaining weight around the goatee will plonk a statement piece right on your face for all see. This beard category with caution and only venture into its hairy depths if your prepared to show a little commitment. Letting a mid-length beard grow freely is a good way to wind up looking less gentlemen and more abominable snowman. A long bushy beard has been a marker of strength, wisdom and downright unabashed manliness for as long as history can remember. If you were hoping to add a touch of badass to your appearance, but do not fancy splurging on a Harley or a leather jacket, growing a massive beard is the best way to go. But be warned. It is an easy one to misjudge. Crave to it will create the illusion of abundant virility even if you have literally none. Crave it wrong and you will look like Tom Hanks in Cast Away.